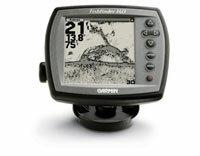 Garmin Fishfinder 140 Portable ( FF140 ) 50KHz and 200KHz (010-00460-01) €139.00 - buy online at mysatnav.ie - Ireland's leading GPS & Sat Nav store. The Fishfinder 140 is an easy-to-use, entry-level sonar that's essentially the same as the 90 except that it comes with a 4" diagonal display. If you need accessories for the Fishfinder 140 please call us on 01-293 6987.